Three years ago, several children were abducted from across the Lanto region and forcibly inducted into Project M: A mind control program masterminded by a cadre of scientists from their laboratory on Jerboa Island. Under the watchful eye of Professor Ebony, the kidnapped children were subjected to intensive hypnotheropy and other experimental treatments. The end result: Fanatically loyal test subjects, physically and mentally conditioned to be elite Pokemon trainers and agents of the lab. You are one of these test subjects. You have no memory of who you are or where you came from. The world outside the lab remains a mystery to you. Your identiy, and your free will, are no longer your own. 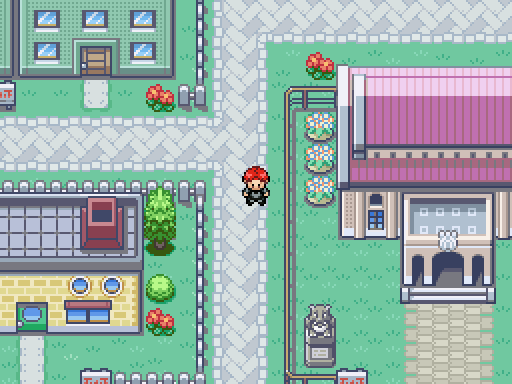 Your adventure will take you to a wide variety of exotic locations, such as the burning wasteland of the Charred Canyon, the Scyther-infested wilderness of the Jade Forest and the sprawling metropolis of Skylight City. 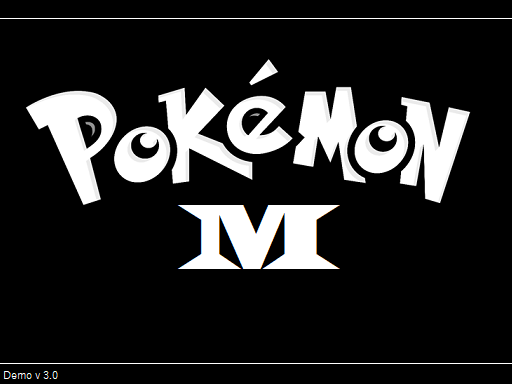 Pokemon M aims to deliver a rich, immersive and character-driven story, even if it means deviating from the tried and true formula of the original games. You will encounter numerous allies, adversaries and rivals on your journey, all of whom have their own part to play in the wider story. 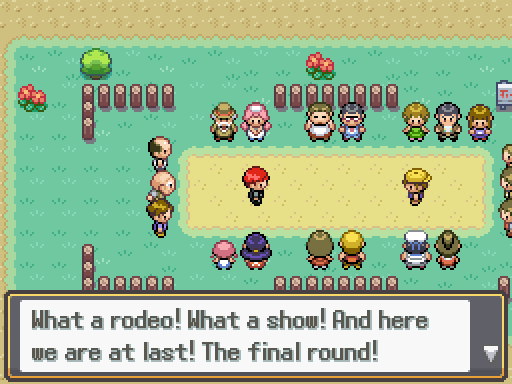 Pokemon M is set ten years before the events of the original games. It will explore the origin stories of a wide variety of familiar characters such as Oak, Giovanni, Blaine and Sabrina. The diabolical scientists on Jerboa Island have done a number of twisted experiments on certain Pokemon in the region, radically altering their typings and movesets. You will encounter several of these 'Fakemon' throughout your adventure and will even have opportunities to use them for yourself. 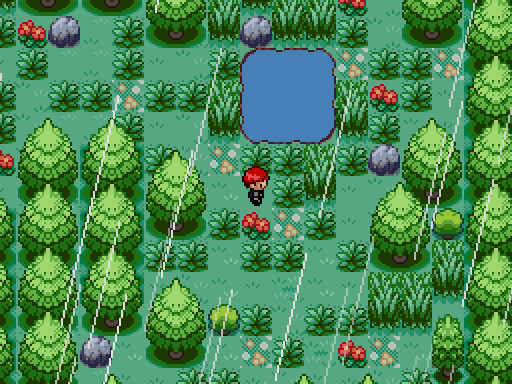 This is fan-made Pokemon game created using Pokemon Essentials and RPG Maker. Pokemon is owned by Nintendo and Game Freak. Special thanks to Thundaga for his series of Pokemon Essentials tutorial videos on Youtube. Hi there! Finished the demo last night, the story is pretty solid! I really liked the plot and the progression it went through. Mew is a bit too strong, though. I noticed quite a few glaring tile errors, like water's edge tiles being missing and beach edges also being missing. Also the lack of running shoes, but I suppose you didn't add those because you didn't have a running sprite made. If you'll have me, I would like to throw a sprite or two at you for the game. You can contact me on the discord. Thanks so much for playing! I'm glad you enjoyed the story. I'll work on the tile errors you mentioned regarding the beach and water's edge tiles. I was actually planning on completely redesigning the island. It was one of the first maps I made and I've never been particularly happy with it. As for Mew being a bit too strong for the early game, I know what you mean and I did try to make the trainer battles a bit harder to compensate for this. I'd be very interested in hearing your thoughts on the battles and which ones were too easy/too hard. Running shoes will definitely be in the next release. Like you said, I just need to do the running sprite. 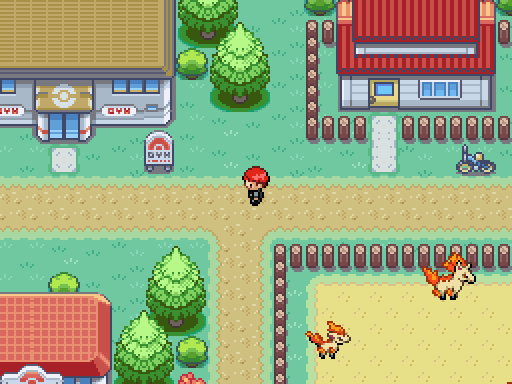 - All new trainer sprites, including a back sprite for the player, created by Mashirosakura. - The addition of three genetically altered Pokemon. 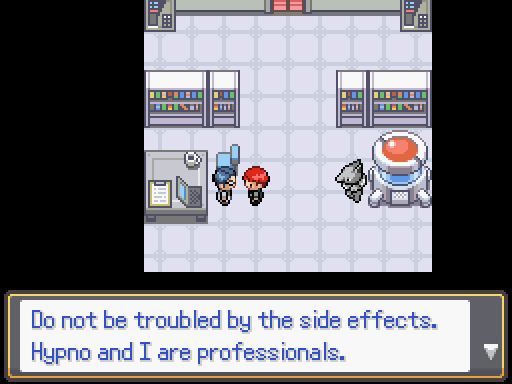 - Access to the fifth floor of the lab and Project X, where the aforementioned genetically altered Pokemon can be obtained. 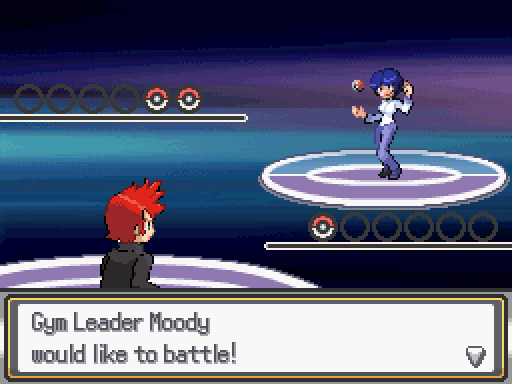 - A side event where you can challenge the first Gym Leader, Moody, to a rematch. - The addition of running shoes, accessible at the very start of the game. 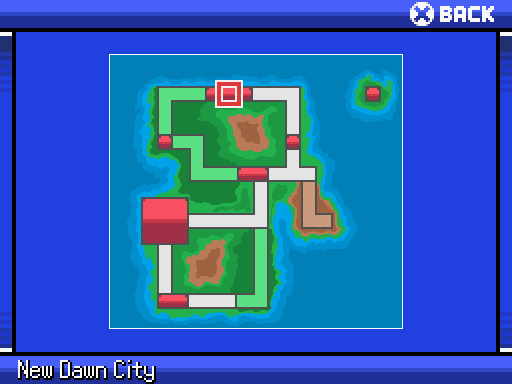 - Aesthetic improvements to the maps, including a total redesign of Jerboa Island. This game has such a cool concept, I even wish I thought of it! Can't wait for the next demo. I actually laughed at Hugo's reaction after battle. Also, is there any way I could get the EXP Share back? 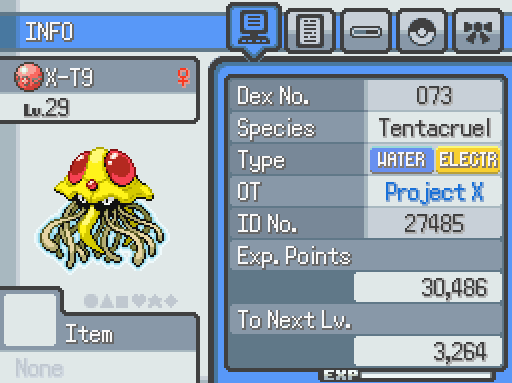 I accidentally traded it in with a Fearow and lost it. I've started playing this, and while a bit of the scripting seems rough (some of the NPCs talk as though you've already spoken to them, about events that have yet to happen) it's otherwise a wonderful game so far. Those Pokemon Snap soundtracks are fantastic, SUPER nostalgic to hear~ I can't wait to get more into this game - hope everything goes well with it; the story sounds fascinating; I've never seen a fangame with this sort of premise before. Thanks for playing! I'm afraid that there isn't a way to get that EXP Share back, but I'll be sure to make more of them available in the next release in case you lose the one you are given. Perhaps I'll even make it possible to buy them at the marts. 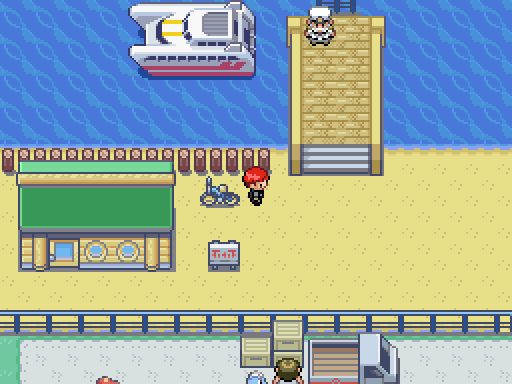 I'm glad you're enjoying it so far and well done for recognizing the Pokemon Snap tracks : ) Sorry to hear that some of the NPCs aren't properly scripted though. Very troubling : / I'll do another play through and keep my eyes open for them. Ah - sorry, I never mentioned which NPCs... The two I noticed (and can remember) was the... I can't remember his name, the first guy you talk to, I think? 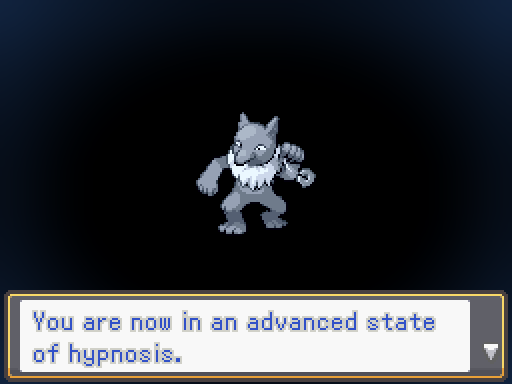 The one with the Hypno. When he tells you to go get your pokemon, if you talk to him again he acts as though you've already gone and gotten it - and in New Dawn, the Bug Catcher/NPC guarding the entrance to the western route out says that the trainers inside have 'gotten stronger since you last beat them', even though you've never been in there before. Nothing game-breaking, just kind of out-of-place. It didn't take me out of the game too much either, no worries. Thanks very much for letting me know about those bugs man. You were right - They weren't properly scripted, but they should be working perfectly now. Please don't hesitate to let me know if you find any other bugs. I'm glad I'm not the only one with fond memories of Pokemon Snap. It's definitely one of my all-time favourite games and It's had a big influence on this project in more ways than one. Version 2.2 of the demo is now up and running. It's not a big update: Just a few bug fixes and some new trainer battle music. I'd like to thank everyone who has played so far. More substantial updates will be coming very soon! The Pokemon lab in Freecloud City where many trainers receive their first Pokemon. Unfortunately, it has fallen victim to a robbery. All the Pokemon have been stolen and the culprits are still at large. One of your fellow test subjects. Subject 87 is fanatically loyal, ruthless and willing to destroy anyone who gets in her way. Though she hasn't been a trainer for long, she has already assembled a wide variety of dangerous electric Pokemon. 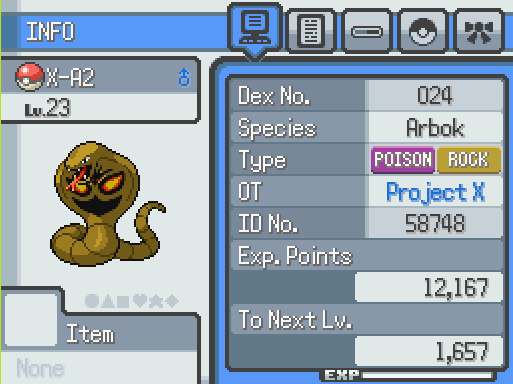 A ruthless criminal organization who specialize in using bug Pokemon. They appear to be responsible for the robbery at Professor Tupelo's lab. Or are they? 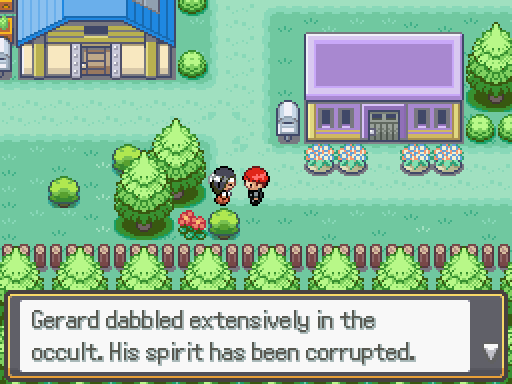 The enigmatic Gym Leader of Freecloud City. 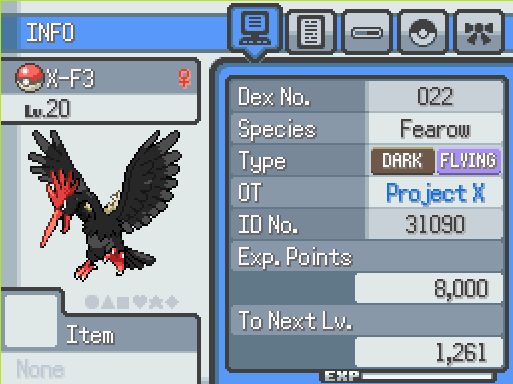 He uses a powerful assortment of the flying Pokemon. 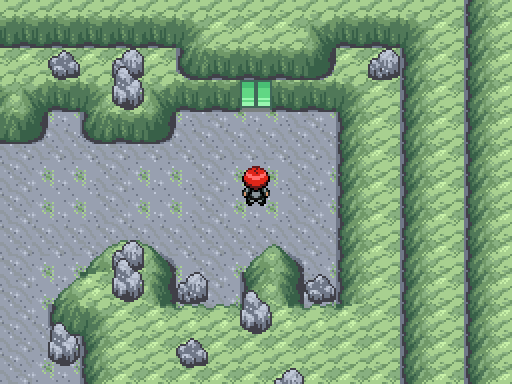 This inhospitable territory is home to a vicious swarm of Scyther and the fabled Emerald Cave. Team Kaiser is also said to have a hideout deep in the forest. The game freezes once the police man leaves the apartment. I chose the "yes" option when he asked me that question, so I don't know if that is part of it. Yes sorry about that. I noticed that as well shortly after I uploaded the new version. It was weird because it definitely hadn't been a problem during my last play-through. It should be all fixed now. 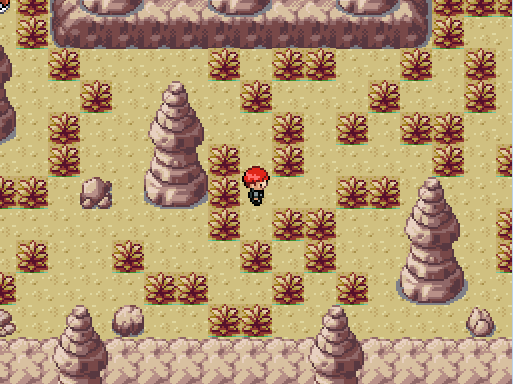 - The Team Kaiser Hideout in the Jade Forest: You and 88 must fight your way through this heavily guarded hideout in your search for the TM for Rock Smash. 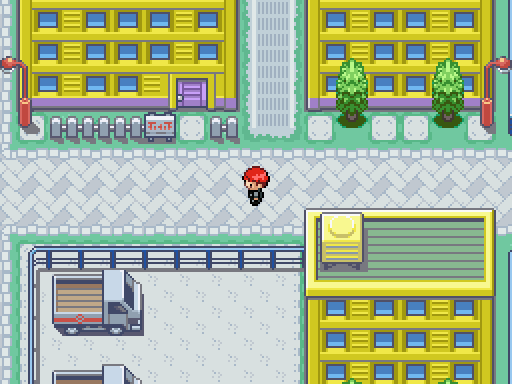 - Route 3: Rescuing Professor Tupelo's Pokemon from Team Kaiser will now give you access to Route 3. 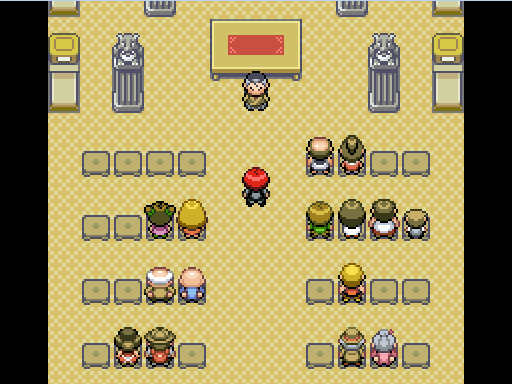 There are many powerful trainers on this route, including Subject 85. - The Charred Canyon: You must travel deep into the Charred Canyon to challenge Blaine and carry out your mission. 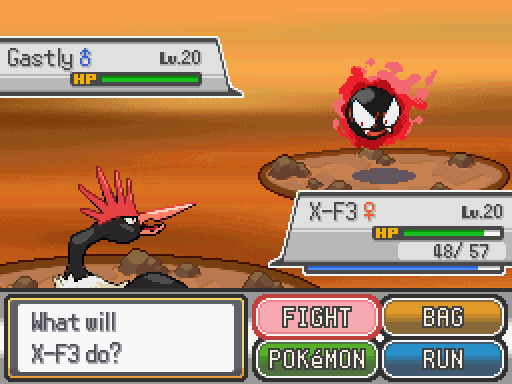 The canyon is crawling with powerful Fire Pokemon. Numerous other minor updates are also included. I've done my very best to fix any bugs that have caused problems in previous versions of the demo. I have also rewritten a lot of the old dialogue and introduced several new characters into the game. Getting this far into the game's development has been a very rewarding process and I would like to thank everybody who has taken the time to play it. Feedback received has been invaluable and I look forward to hearing what you all think of the recent update! EDIT (21/05/2018): Fixed a glitch during the aftermath of the battle with Blaine. The events after the battle weren't triggering properly if Blaine was interacted with from the left, right or above. Sorry for any trouble this might have caused. - Also made a few spelling and grammar corrections. How do I do anything in this demo? All I'm getting on my end is just two rooms. When I first posted the update a few days ago I inadvertently put up the wrong version of the game for a few hours. You probably downloaded it before I realized my mistake. If you try downloading it again it should work fine. Sorry for the trouble. Thank you. I'm downloading the correct version now. And by the end of the beta, I had Mew, Clefairy, Eevee, and Vulpix, my favorite gen 1 pokemon! And I have a feeling Eevee is going to be a pokemon being genetically experimented on by Jerboa Labs, because it's DNA is so unstable. Makes me wonder if Eevee's ability to evolve is based on epigenetics (naturally evolving because of your environment) or man-made!!! I am so looking forward to the next beta!!!!!!! !